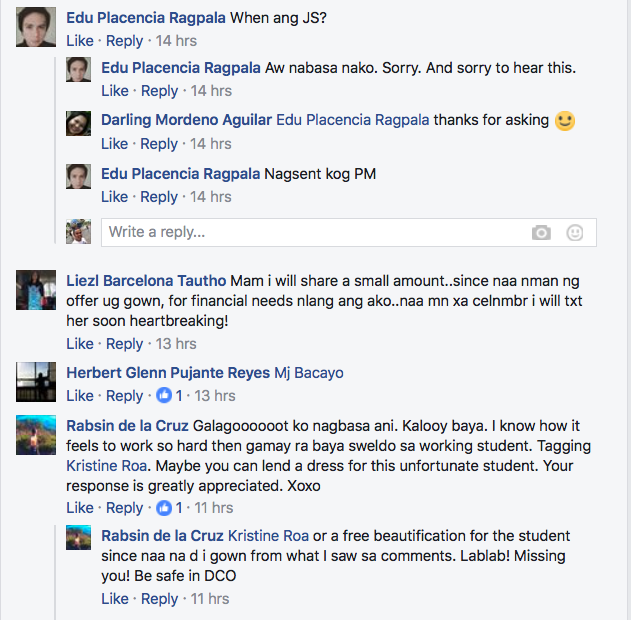 A teacher from MOGCHS posted on her FB timeline about her student’s stolen wallet story. She (the student) is a working student because her parents are already gone and her grandma who took care of her passed away last year, which left her an orphan. She is working in an internet cafe just to meet her daily needs as a high school student. 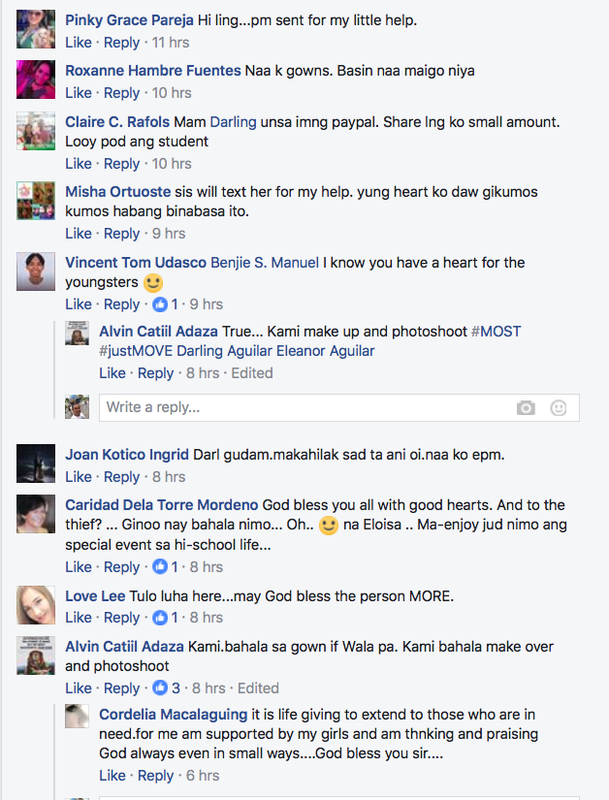 But she lost her wallet (Stolen) yesterday, which had 6,000 pesos in it. 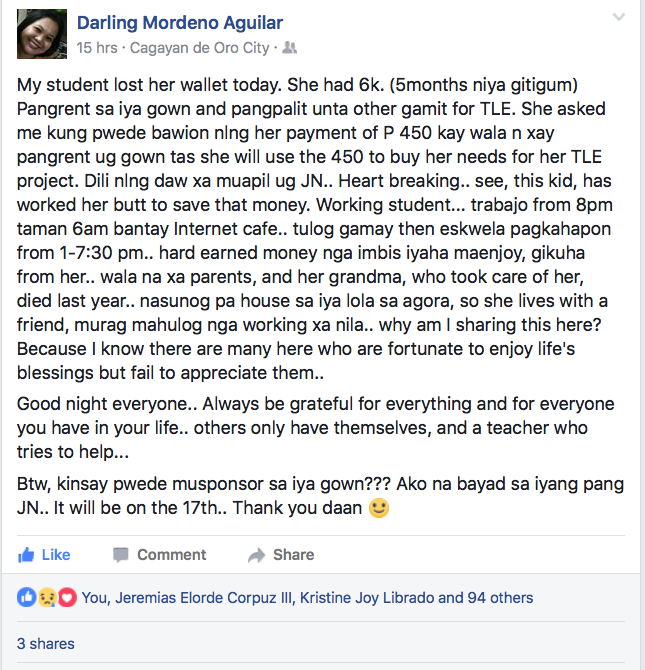 She had saved those amount for about 5 months by working in an internet cafe to spent for her gown on their Prom night this month and other needs. 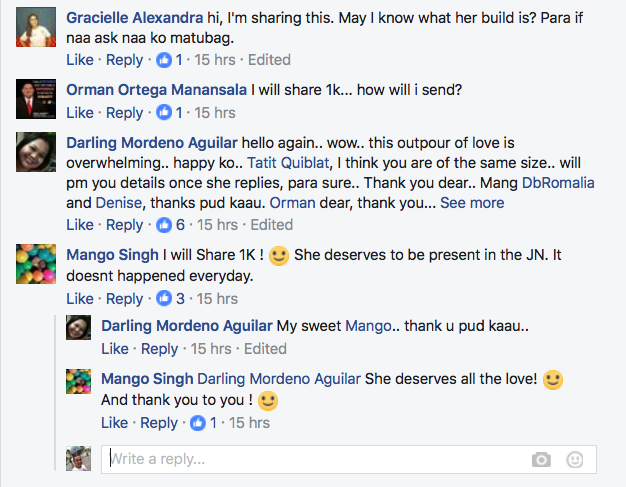 Her teacher Darling Aguilar who posted the situation on her Facebook timeline asked for a gown sponsor for the student and she will just shoulder the Prom Night Fee. 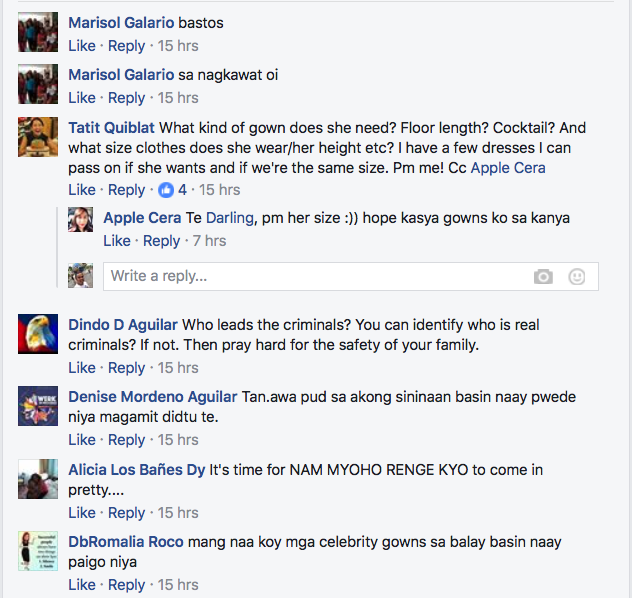 But the response of the netizens are overwhelming.